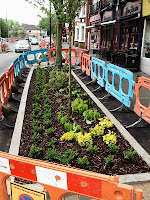 I was quite pleased to see new plant beds amongst all the road work clutter on Central Road today. These two (pictured) are the only two I’ve seen so far. hopefully they will be joined by some more soon. 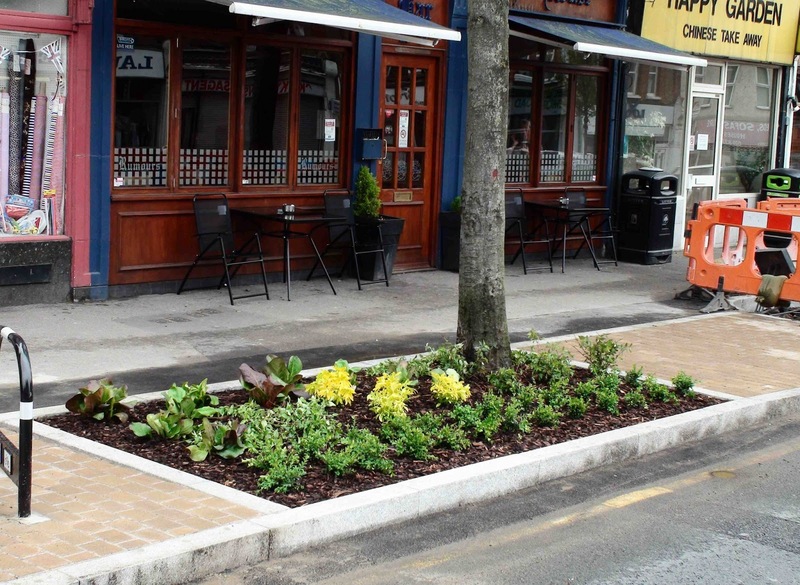 *When* it is all over we might actually end up with a rather nice High Street if it all look as pleasant as this. Of course this is before the weeds grow and the mulch is kicked onto the pavement and the plants die and beds fill up with litter and chewing gum is squashed repeatedly into the new paving. However hopefully, unlike previous times, the Council will find a way to look after these areas of pleasant greenery so they actually stay nice and continue to benefit the community.